How Healthy is Our Housing Market? Looking to buy a house or sell a house this year? There’s a good chance you know the housing market is booming, pretty much all over the country. East coast, West coast; no matter which side of the country you’re living on, there’s a good chance the housing market is healthier than it has been in years. But how do you tell if a housing market is healthy, or not? At a very basic level, you can understand the real estate market using supply and demand as your metric. 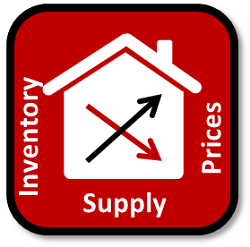 When inventory is low and too few houses are for sale, the prices of houses will rise. If there are many houses for sale on the market, and the inventory exceeds the demand then the prices will fall to attract more buyers. When these two features are balanced, home prices sell closer to their true value. There aren’t any obstacles in play, like there typically are when the housing market is unhealthy. Some obstacles include bidding wars and insanely high prices. However, they’re not the only ways to assess the housing market. 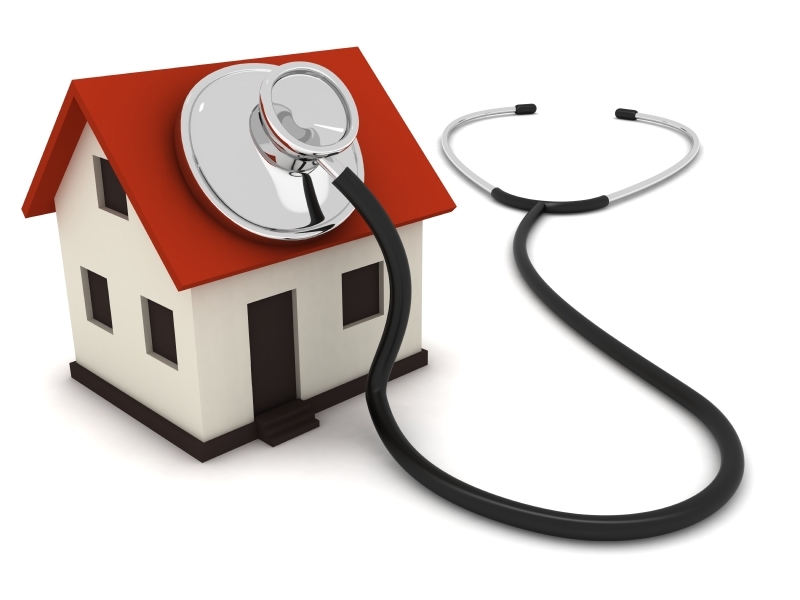 Assessing the health of your local real estate market is easy, especially if you do a little research. When homes have been on the market for over 90 days, you can believe that’s a sign something may be wrong with the property. Alternatively, there may be something wrong with the local market, suggesting the price on the home is too high for that market. Check in about the median time homes are on the market for. This is something you can research yourself, or discuss with a real estate professional. If prices are falling and rising rapidly, you can bet there are issues with the health of the local real estate market. Quickly rising and falling prices can indicate the market is out of balance (remember, supply and demand!). An annual increase of say, 5 percent is healthy for homes on the market. Increase or depreciation above or below that level can indicate an imbalance of the market. Foreclosures are a sure-fire way to diagnose an unhealthy real estate market. This can drive down home prices, and a healthy real estate market thrives on limited foreclosures. 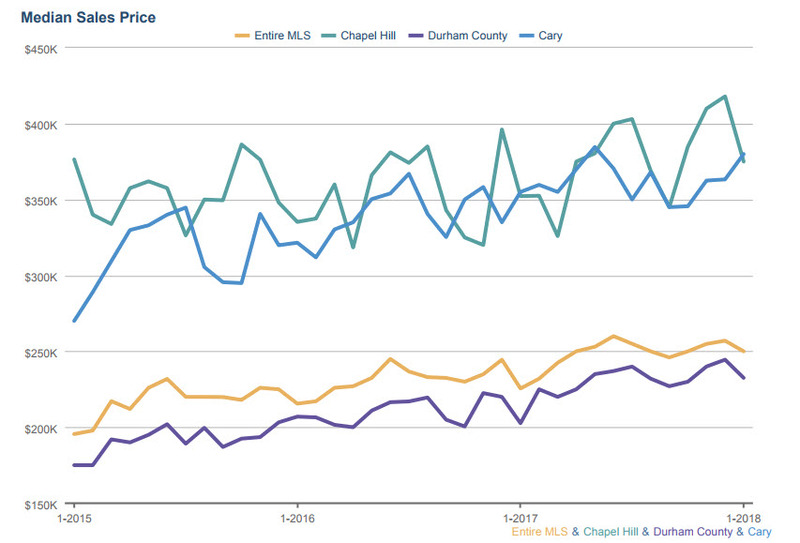 According to a study on the healthiest housing markets in the United States, both Durham and Raleigh made the top 15. While Durham came in at No. 14 nationally, Raleigh came in just behind at No. 15. Each housing market was diagnosed based on stability, risk, ease of sale, and the affordability of the area. The study, done by SmartAsset, scored Durham at a healthy 82.71 thanks to those factors. Raleigh scored 81.21. So let’s talk about the factors that helped SmartAsset score the housing markets of the United States. How long people lived in their homes, and the number of homeowners with negative equity contributed to the stability factor. Risk is calculated by percentages of homes decreasing in value. Ease of sale is accounted for by data on the average time a home for sale hangs out on the market. The shorter the time, the better! And finally, affordability is assessed by monthly home-owning costs, as well as income in each city or county. 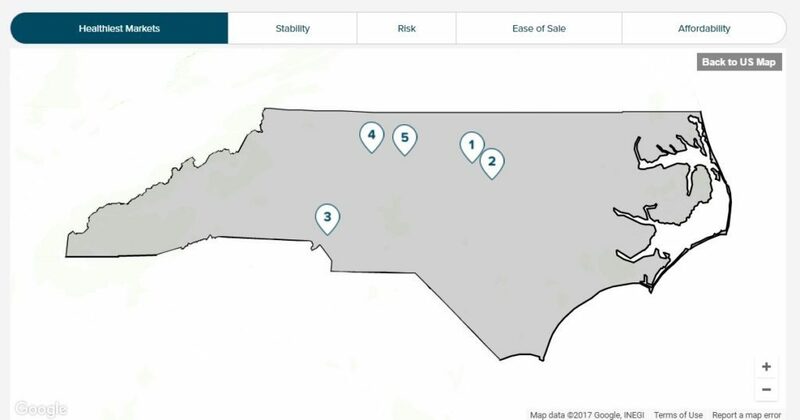 Other North Carolina cities made it onto SmartAssest’s healthy housing market list. Charlotte ranked No. 21, Winston Salem ranked No. 47, and Greensboro ranked No. 48. 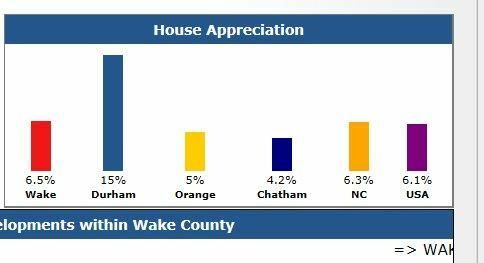 These cities represent healthy housing markets, and indicate North Carolina has a good real estate market. If you have been thinking of relocating to the Triangle area, you will definitely want to consider putting down roots in one of these cities! 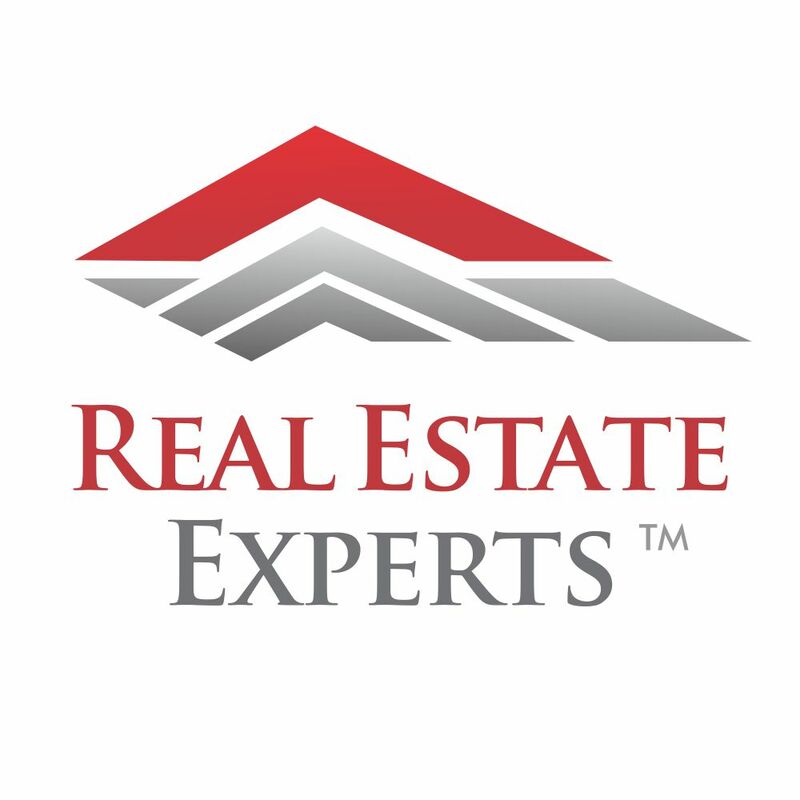 Visit Real Estate Expert’s web site to learn more about Raleigh-Durham real estate. Give us a call at 919-813-6449 or send us an email to [email protected] to find out more about living in the Triangle, and visit realestateexperts.net to view current homes for sale in the area. Spring has sprung. 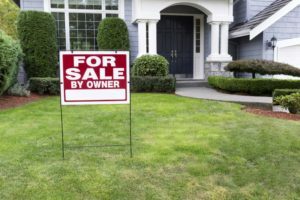 Alongside of blooming flowers, warmer temperatures, and the promise of Summer comes the busiest home-selling and home-buying season of the year. Buyers are more likely to shop during this time period, thanks to more daylight and the pressure to get a new home situated before the next school year starts. If you’re looking to sell your home, there are three recent developments that ensure this spring is a unique, and promising, time to do so quickly. What’s more? You’re likely to get the most for your money as a buyer and seller. Let’s look at Triangle home updates for spring of 2017. Last July, mortgage rates were at a low of 3.41%. The presidential election, like it typically does, shakes the housing market briefly because of impending law changes, administration direction, and uncertainty in the face of a new President. The 30-year fixed mortgage rate hiked up after the election, reaching a high of 4.31% in December 2016. Despite the increase in 30-year fixed mortgage rates, they’ve stabilized over the past few months which keeps them near historical lows. If you’re looking to buy a home, this spring is an exceptional time. 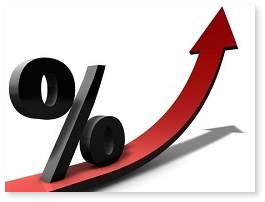 The current low mortgage rates are advantageous because they allow you to afford more bang for your buck. You’ll be able to afford a more luxurious home, at a better price. Throughout the last year, the number of jobs has not only increased, but it has increased in a big way. With 2.3 million new jobs introduced in the last year, the economy reflects business and consumer confidence. The United States Department of Labor Statistics reported 235,000 new jobs in February 2017 alone. As the economy reflects the cyclical nature of employment and the real estate market, new jobs and the decrease of unemployment affects the housing market in a healthy way. Lower unemployment means less crime, less crime means higher property values. People feel a surge of confidence when new jobs open; unemployment in your area can lead to issues buying and selling homes. Fortunately, employment is up, new jobs are being created at a consistent basis. Mortgage rates are nearing a historic low, as is the inventory of homes. 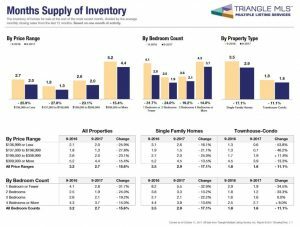 February 2017 saw a 17.9% year-over-year decrease in the number of homes on the market. March 2017 marks the 100th consecutive month of year-over-year declines. This trend dates all the way back to October 2008. 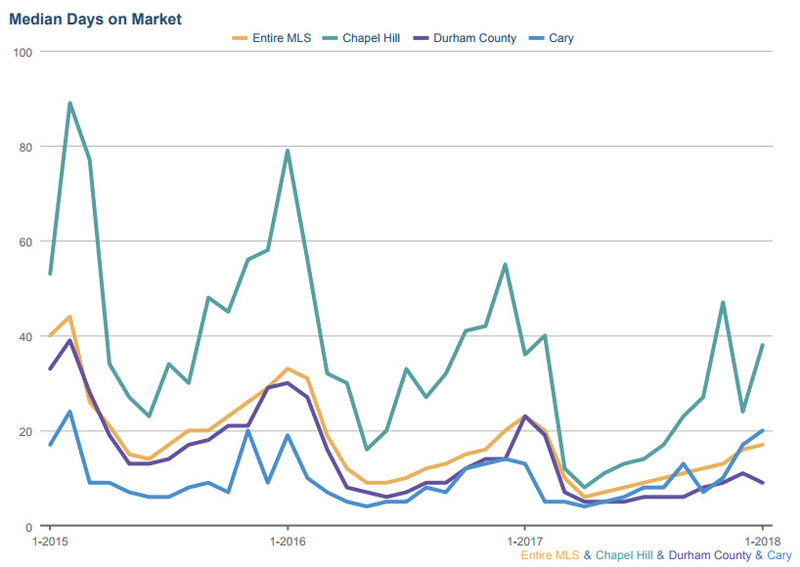 There are fewer houses than ever on the market in the Triangle, right now. Some homes are selling within hours of being on the market. Since the market has an all-time-low inventory, prices are being driven up, as is competition. This is good news for a seller, at least! How Do These Spring 2017 Updates Benefit You? 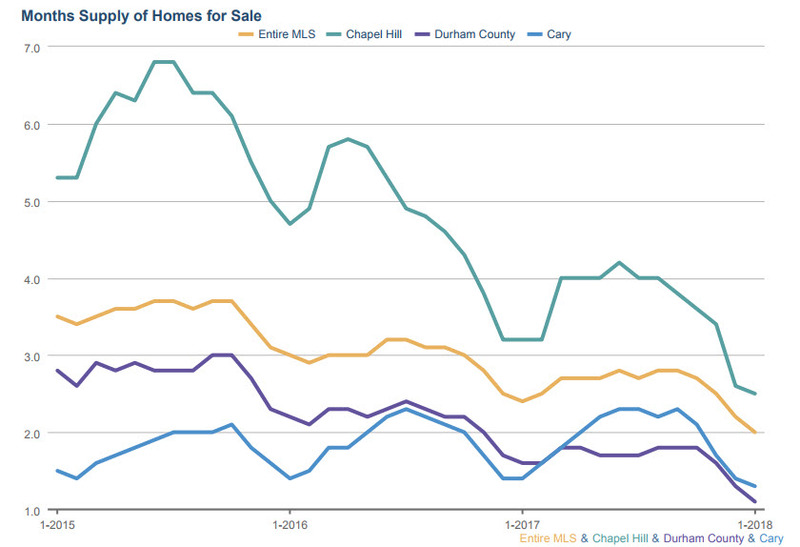 The demand for homes in the Triangle is through the roof. 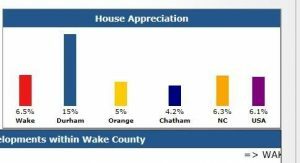 Due to the growth in jobs, low and stabilized mortgage rates, and consistent high-ranking of quality of life and education in the area, the Triangle will likely see an even higher and stronger demand for homes. Take a look at this statistic: in February 2017 homes sold, on average, within 68 days on the market. This is compared to 75 days on the market in February 2016. Selling your home this Spring means taking advantage of the strong demand and low inventory. You’re likely to see prices increase this Spring, and you’re likely to see top price for your home. On a national scale, February saw a 6% year-over-year rise in home prices. This definitely agrees with the trend around the Triangle, too. Spring 2017 is a wonderful time to sell your home if you’ve been considering it for some time. This is a good opportunity for buyers to take advantage of low mortgage rates, too. If you’re curious to know how much your home is worth in the current market, try our home valuation tool. Whether you’re looking to buy or sell this spring, Real Estate Experts can help. Homes all around the Triangle are coming onto the market. Several amazing homes have just been listed, too. Loaded with listings hot off the press, Real Estate Experts is ready to help you find your next home. Our seasoned team members work together to provide outstanding service to our buyers and sellers, while developing a unique partnership to better care for our clients. If you are looking to buy or sell, let one of our top realtors assist you today. Give us a call at 919-813-6449 or send us an email to [email protected] to find out more about living in the Triangle, and visit realestateexperts.net to view current homes for sale in the area.